I can’t think of anything that goes together any better than music and visual art. Mesh the two together and you get vintage sheet music. Practical and beautiful vintage sheet music can be a wonderful and rewarding collection for almost any kind of collector. Sheet music has been around for over 200 years. It was mass produced for the market, with some popular titles selling over six million copies. This makes it easy to find even today and most titles can be purchased for one to ten dollars each. Antique stores, garage sales, auctions and inside Grandma’s old piano bench are all good places to look for vintage sheet music. Vintage sheet music can be appealing to many different types of collectors. 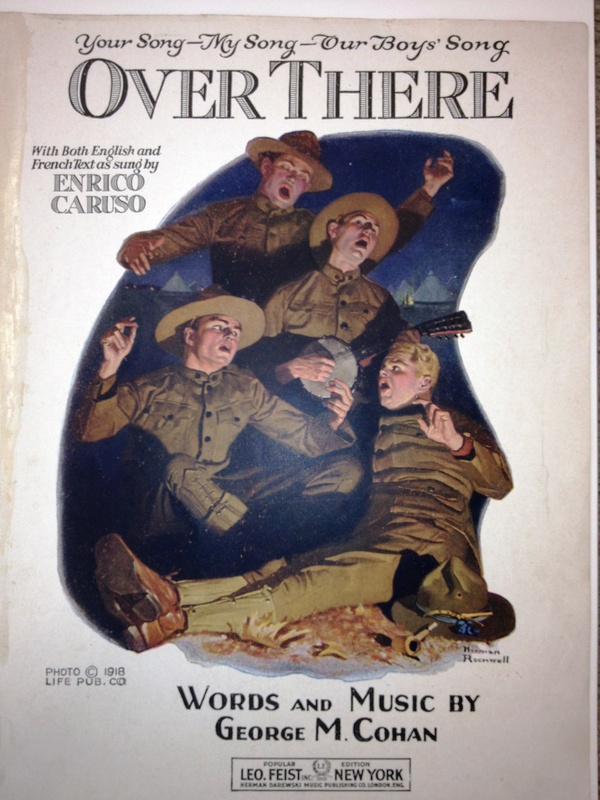 For example, a military collector might love to add the title, “Over There” by George M. Cohan to his military collections because of the wonderful graphics on the cover (see photo). A piece of music performed by Judy Garland could appeal to collectors of Judy Garland or Broadway memorabilia. Many sheet music enthusiasts simply like to collect the most beautiful covers they can find in any category. And of course, musicians will collect the types of music they love to play. Other popular sheet music categories for collecting include; ragtime, Broadway, historical events, sports themes, jazz, film, and popular composers. Famous personalities like Bing Crosby and Marx Brothers are also very popular. As mentioned before, most vintage sheet music can be purchased for nominal amounts because of the sheer mass that was produced for the public. 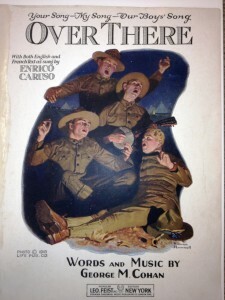 However, a rare piece of sheet music can sell for hundreds of dollars. Factors that can raise the price include; autographed copies, condition, and subject matter. Original lithographs tend to bring in the most money. For the casual consumer, vintage sheet music can make an easy, inexpensive piece of art to hang on the wall or enjoy at the piano. 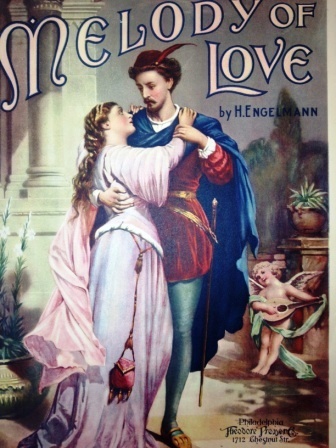 You can find hundreds of pieces of beautiful vintage sheet music at the Albany Antique Mall. Located at 2nd and Ellsworth in Historic Downtown Albany. Open daily. ← Are you a Deltiologist?